Stimulus. TARP. ObamaCare. These three words are being written into the political obituaries of politicians who voted for the programs–for good reason. These three bills, made law by the Pelosi-Reid Congress in only three years, will take decades’ worth of work by regular folks, who dutifully clock in and out of their jobs 40 hours a week or more, to pay off. 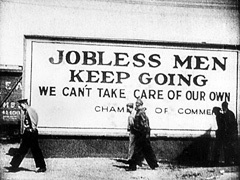 The high unemployment and debt rates prove Democrats haven’t stimulated the economy. They’ve tranquilized it.